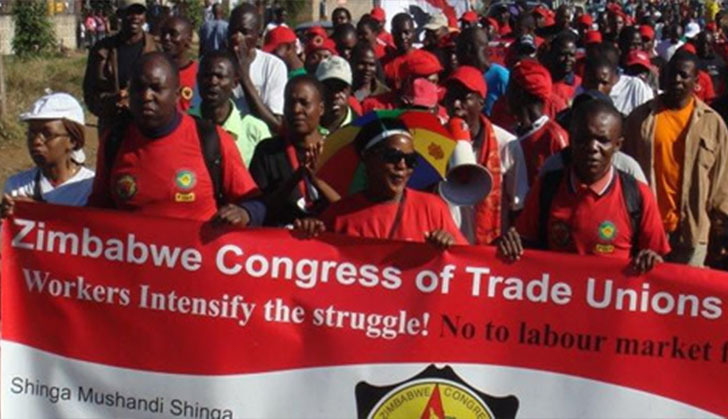 THE ZIMBABWE Congress of Trade Unions (ZCTU) has threatened to hold protests in Parliament following reports that Zesa Holdings has suspended eight workers' representatives for organising demonstrations against the parastatal. ZCTU secretary-general, Japhet Moyo told journalists in Harare yesterday that they were planning to picket at Parliament Building, demanding rescission of the suspensions. "As you are aware, the demonstrations were basically on the corruption that is prevalent at Zesa such as the awarding of tenders to dubious characters like Wicknell Chivayo and people like Highfield MP, Psychology Maziwisa and former ZBC news anchor, Oscar Pambuka," Moyo said. "The workers wanted the Zimbabwe Anti-Corruption Commission to take action." The suspended union leaders were from the Energy Sector Workers' Union of Zimbabwe and among them is ZCTU first vice-president, Florence Taruvinga. They were suspended pending disciplinary action for demonstrations that took place at Zesa head office in December and last month. Moyo said the suspension was meant to instil fear into union members and silence the voice of the workers.